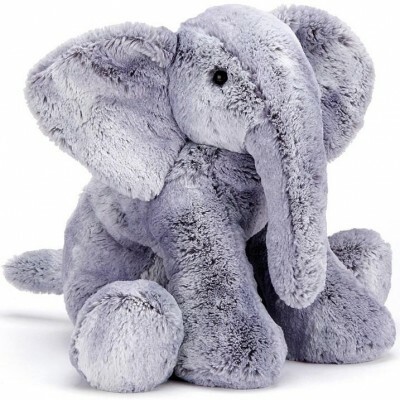 Elly Elephant loves to pose, and can stand or sit or flop so sweetly! Scrummily soft in two-tone fur, she's blue and white and cute all over! Her trunk and cheeks are squishy and cuddly, and everyone loves those big, funky ears. Head out on parade with this cheeky elephant - pa-raaaaa!